In a report published on Monday, independent watchdog Freedom House have declared that global democracy is in decline. Albania is considered as Partly Free but ranks below countries with significant criticisms levied against them such as Tunisia, Hungary, Timor, Romania, and Bulgaria. Well known for its failings in protecting freedom of expression, a captured and largely non-independent media, and an increasingly autocratic government mired in corruption and links to organised crime, the country dropped eight places in the Corruption Perception Index that was released last week. Their findings for 2018, compiled in a report entitled “Freedom in the World” found that only 44% of the world’s countries can be considered as real democracies, with around 4.7 billion living in a not free country. 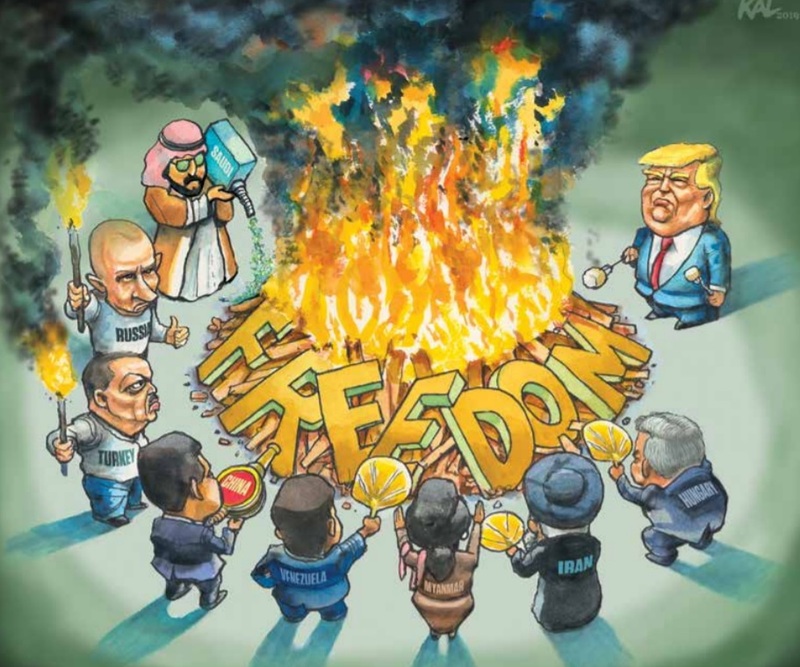 Over the last 13 years, the Freedom in the World report has noticed global declines in political rights and civil liberties with the global average declining and those that have improved, being outnumbered by the losers. The Balkan area was called out for the prevalence of antidemocratic leaders who have brazenly consolidated power beyond constitutional limits as well as continuing to undermine institutions that protect freedom of expression and the rule of law. Freedom of expression is one particular pillar of democracy that has come under sustained attack across free, partly free, and not free jurisdictions. Through sustained and ongoing assaults on the press and encroachments on the speech rights of members of the public. Globally, freedom of expression has decreased over the last 13 years with sharper drops registered since 2012. A number of countries have been observed to be stepping up online censorship either through monitoring citizens or imposing harsh laws on media portals and independent news sources. The report notes that a number of states that teetered on the edge of being not free, are now unashamedly shedding the thin façade of democratic practices that they developed over the last two decades. Countries that were once communist were called out for an increase in authoritarian powers that ban or jail opponents and ruthlessly go after the last remaining independent media portals. Other issues such as rampant corruption, breakdowns in the rule of law, and failure to separate powers between state and institutions are noted as key issues presenting in 2018. In addition to this, the United States received 86 points out of a possible 100 placing it below other Western democracies such as France, Germany and the UK. Losing a total of 8 points in as many years is highly significant and whilst it is still considered as Free, it ranks with countries such as Latvia, Mongolia, Greece, and Croatia.